Arsenal boss Unai Emery could be left stunned, as north London rivals Tottenham enter the race to sign Andre Gomes from Barcelona. The Portugal international appears to be ready to leave ​La Liga this summer, after he struggled to win a place in Barcelona's first team squad during the two years spent at the Catalan club. 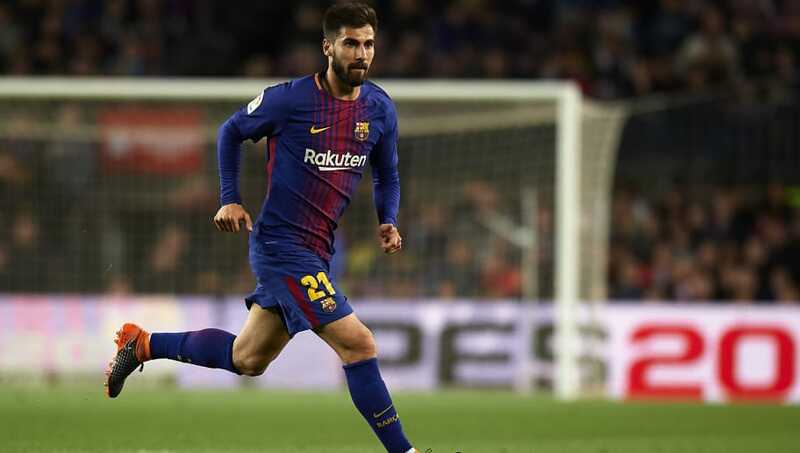 Gomes may be an excellent replacement for Aaron Ramsey, who could leave the Emirates after a long adventure at Arsenal which started in 2008. However, a Transfermarketweb report claims that Spurs are also very interested in signing the Portuguese star. Mauricio Pochettino is confident that Gomes would fit the Tottenham squad perfectly, as the north Londoners may be getting rid of Belgium international Mousa Dembele. Arsenal have been very busy in the transfer market so far. The Gunners' last additions to the squad, aimed at strengthening their midfield, have been Lucas Torreira and Matteo Guendouzi. Now, Emery is looking to finally get hold of Gomes, with the Spanish manager interested in the Portuguese midfielder since his time in charge of Sevilla. Gomes joined Barcelona in 2016, collecting a total of 46 appearances for the Catalan giants and scoring three goals during his first season at the club, whilst in the 2017/18 campaign he was never able to find the back of the net. The Portuguese may well be moving to the ​Premier League, as he is looking to leave after a lack of first team appearances and describing his time at Barcelona as 'hell' (via the Express). "I don't feel good on the pitch," Gomes said. "I am not enjoying what I am doing. The first six months were pretty good but then things changed. "Maybe it's not the right word to use, but it has turned into a bit of a hell, because I have started to feel more pressure. With pressure I feel fine, but with the pressure on myself, I don't. The feeling that I have during games is bad."